The Taylor Family Foundation is a private, family foundation that was established in 2012 by Marcia and Mike Taylor. The foundation supports and provides grants geared towards family values, senior citizen care, and community initiatives. 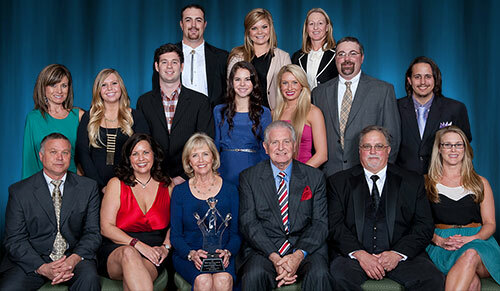 The Taylor Family Foundation is a family endeavor. Their children and grandchildren join Marcia and Mike on the Board Committee. The goal of the Taylor family is to take a percentage of profits from their family business, Bennett International Group each quarter, and put it towards funding honorable stewardships affecting communities nationwide. Bennett International Group, LLC is a transportation and logistics company located in McDonough, GA. Since 1974, Bennett has been blessed with great success, which the company attributes to their great employees, agents, customers, and owner/operators they’ve been honored to serve. The family board meets on a regular basis to decide the amount of funding to be distributed out. Potential recipients are encouraged to complete all required information from the Taylor Foundation grant application. The Taylor Foundation’s mission statement was set by the foundation’s board of directors as a guideline to use for approving grant request. The Taylor family is proud of its American Heritage. Their values embody their commitment to the Christian Faith, the preservation of family values, the support of children in need, quality healthcare, the value of education, commitment to helping the elderly, women, and children. The impact of our philanthropy will be seen in people, organizations, and associations reaching their goals at making a difference in the lives of others, and communities around America. It is important to us that the second and third generations (our children and grandchildren) demonstrate generosity, hard work, commitment and the joy of giving to those who use our gifts wisely. We are proud of the work of the Taylor Family Foundation, and encourage all with resources beyond life’s necessities to give back, whatever their areas of interest.